Can someone please help me understand this heart and head lines? Re: Can someone please help me understand this heart and head lines? In my understanding you had some major life event around 21-25 years old that make you see and live emotions differently from then on.The place your double head lines on left hand stop and a new one begins, the heart line on left hand breaks and the head line separates from life line at right hand are all in this age time frame... it's like you were more rational orientated and then sudden you become more 'feeling' type. Does this make any sense ? 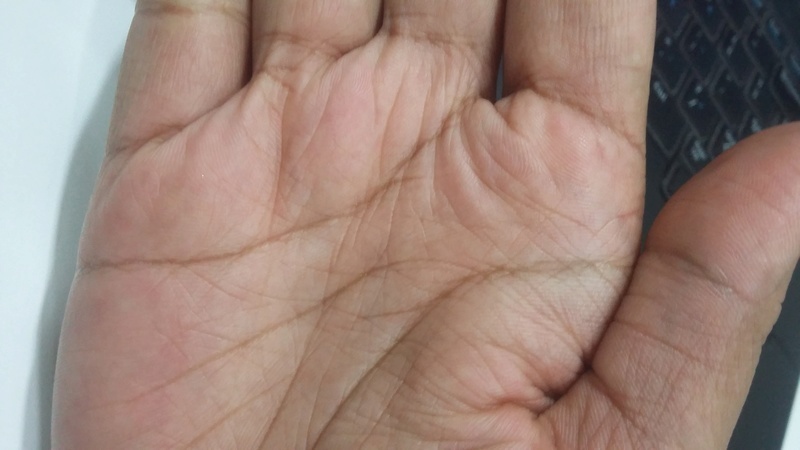 In the left hand heart line becomes dim and stops being overlapped by another heart line so it could either be emotional problem or a heart probelm. If health problem then nails will confirm this. The head line, two of them, ends at 33/34 and the new one starts before that. 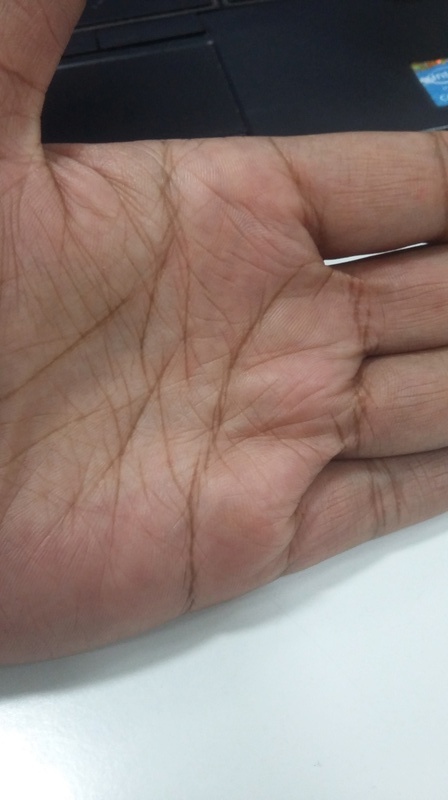 The age of this break/dim is before 20 if one counts from right to left on the right line in the left palm. I calculate it from left to right and the age comes to about 34 to 42 approximately. The head line starts from the lower mars but the starting point is so dim that the overall effect on the head line is diluted. The person is changeable and gets irritated. Why are there too many tiny lines around heart and head lines? what are the inferences? what do the lines in Apollo mount imply? what does double head line imply? A Detaiiled reading is not possible on this forum. I have already answered your specific queston. Una9803 wrote: Why are there too many tiny lines around heart and head lines? what are the inferences? what do the lines in Apollo mount imply? what does double head line imply? On left hand -- it appears to be branch from heart line? You mean the line is dropping from the heart line at the point below the smallest finger. pravin kumar wrote: You mean the line is dropping from the heart line at the point below the smallest finger. On left hand -- it appears to be the branch from heart line? Yes, my mistake it is not a branch, as you have mentioned line dropping from heart line. Maybe because of health issues or whatever, the person was weak mentally in the initial years. The person is likely to be irritable and vacillating and a lack of firmness can be seen.